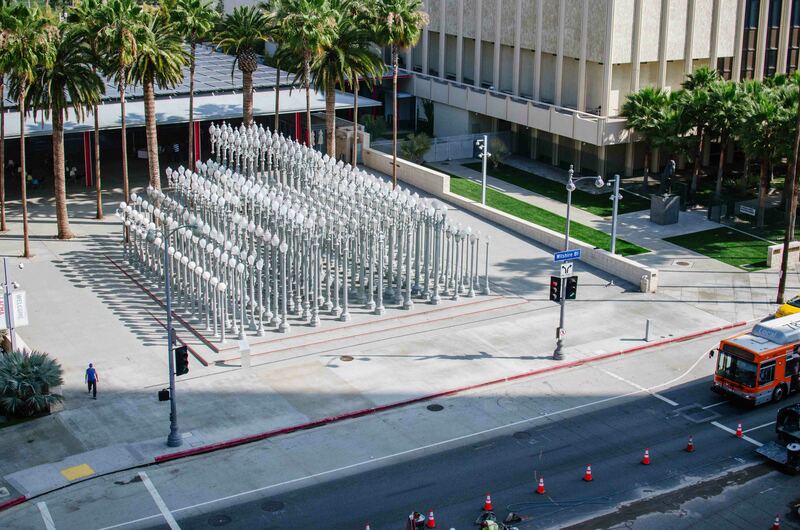 View of LACMA entrance from the crane. View looking east on Wilshire. View looking west on Wilshire. Above are a collection of photos of the exploratory shaft near the intersection of Wilshire and Odgen that has been built for the Purple Line Extension project. All the photos were taken from a workbox hoisted by the crane being used to lift excavated soil from the shaft; the first photo was taken this morning, the remainder over the last several weeks. The L.A. Times just posted an interesting story and video about the shaft and the fossils found in it while digging has been underway. And here’s our post from last week about the shaft.